Kensington Palace released the first official photos of Prince Louis on Sunday, taken by Princess Kate at their home. 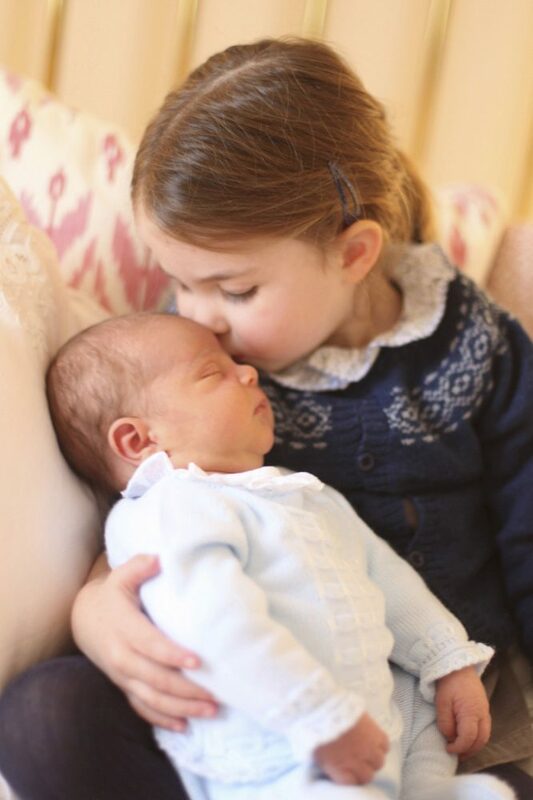 One of the photos shows Princess Charlotte cradling her baby brother. In this May 2, 2018 photograph provided by Kensington Palace, Britain’s Princess Charlotte cuddles her brother Prince Louis, on her third birthday, at Kensington Palace, in London. The Duke and Duchess of Cambridge released two new photos of the newest addition to the royal family, Prince Louis, on Sunday. The first official photos of the fifth in line to the British throne were taken by Princess Kate Middleton at the home of her and Prince William in Kensington Palace. 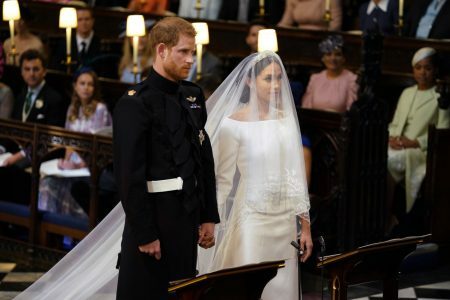 Prince Louis Arthur Charles has not been seen in public since he was born on April 23 at St. Mary’s Hospital in central London. The first snapshot was taken on April 26, just three days after the little prince was born. The second photo, taken on Princess Charlotte’s third birthday on May 2, shows the older sister planting a gentle kiss on her baby brother’s forehead. The photo signifies Princess Charlotte passing the royal torch to her younger sibling, as it mimics a portrait taken of the princess and big brother Prince George, 4, in June 2015. 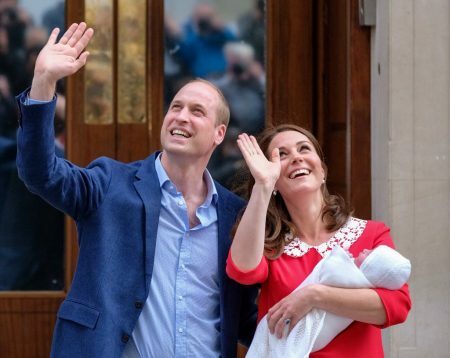 “The Duke and Duchess would like to thank members of the public for their kind messages following the birth of Prince Louis, and for Princess Charlotte’s third birthday,” Kensington Palace tweeted on Sunday. This image of Prince Louis was taken by The Duchess of Cambridge at Kensington Palace on 26th April. Prince William and Princess Kate said in a statement that they are “very pleased” to share the photos. 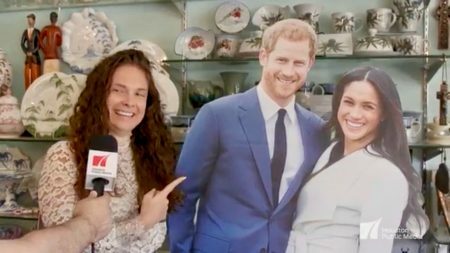 Kate, who studied art history at the University of St. Andrews, is an avid photographer who has previously taken official portraits of her children. The two youngest royals donned family hand-me-downs for the official portraits. Princess Charlotte is pictured in a blue and white cardigan worn by Prince George in a family portrait for the Queen’s 90th birthday in April 2016, according to The New York Times. Prince Louis’ comfy white outfit was also previously worn by his sister in the aforementioned portrait taken after she was born. This will likely be the last glimpse of the young prince until his christening, which is expected to be held in July. 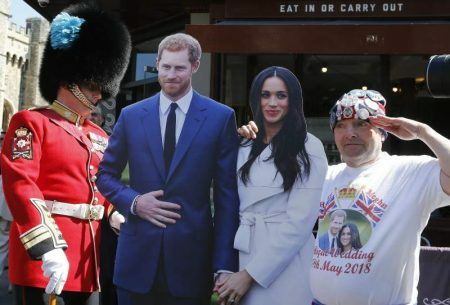 The palace has already announced that Prince Louis will not attend the royal wedding of Prince Harry and Meghan Markle on May 19.